In 2007, soon after I quit medicine to take up photography, I embarked on a photo project which would take me to the outskirts of Bangalore. 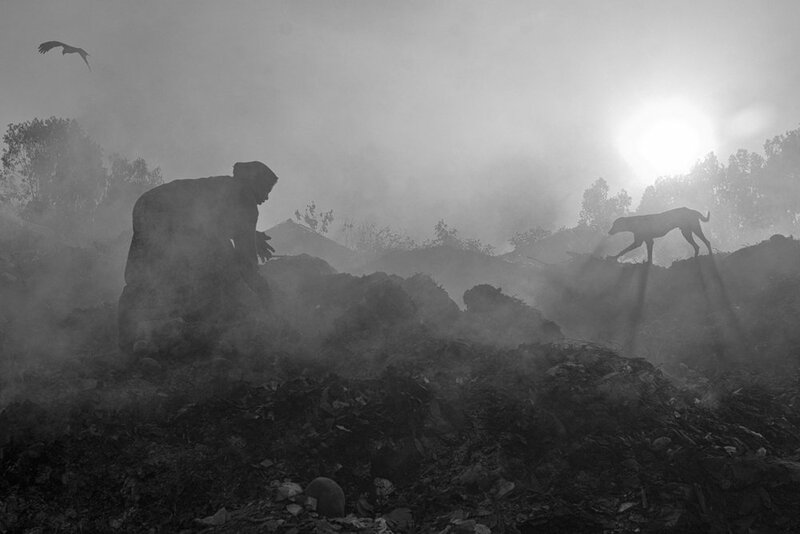 During the hour-long, early morning commute from my home to out of town, I’d drive through Kyalasanahalli, a suburb on the city fringes where I’d pass a recurring, dramatic scene in the distance – smoke billowing from a filthy, bog-like landfill, the stench from which travelled out to the main road. And dotting the landscape were tiny figures with masked faces working with what appeared to be pick axes. I decided to visit and see what was going on. 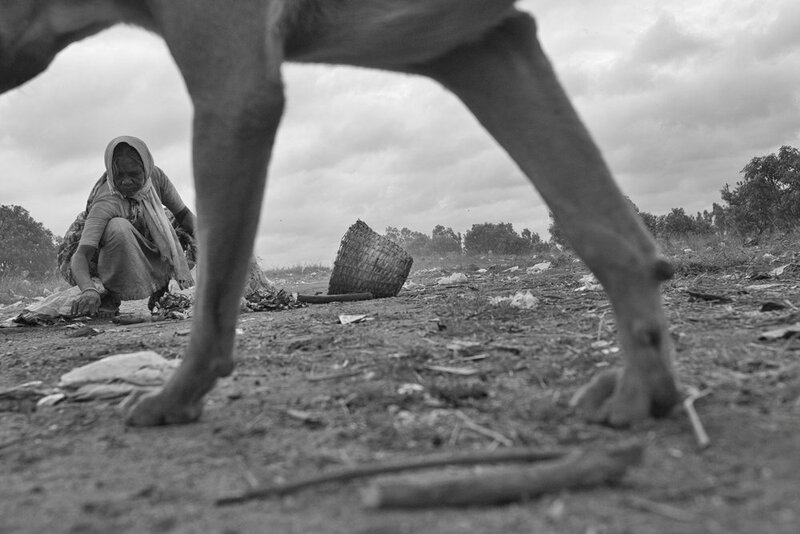 The story of the community working in Kyalasanahalli was different to what I had expected; the ragpickers were neither migrants nor homeless like the many who collect garbage. They were a small community of about 40 people, some eight families who used to farm ragi (the crop, finger millet) and had become ragpickers over the last decade and a half. The farmers had lost most of their land to a mushrooming Bangalore; those with title deeds had sold their farmland to builders in exchange for money, while the many who worked there informally, ended up having their farmland taken over. Whatever farmland remained was converted into a dumping ground by lorry contractors, who figured they could save on fuel by dumping rubbish closer to the city instead of travelling the extra distance to their designated landfills. So they started offloading garbage illegally, close-by to where these farmers lived. 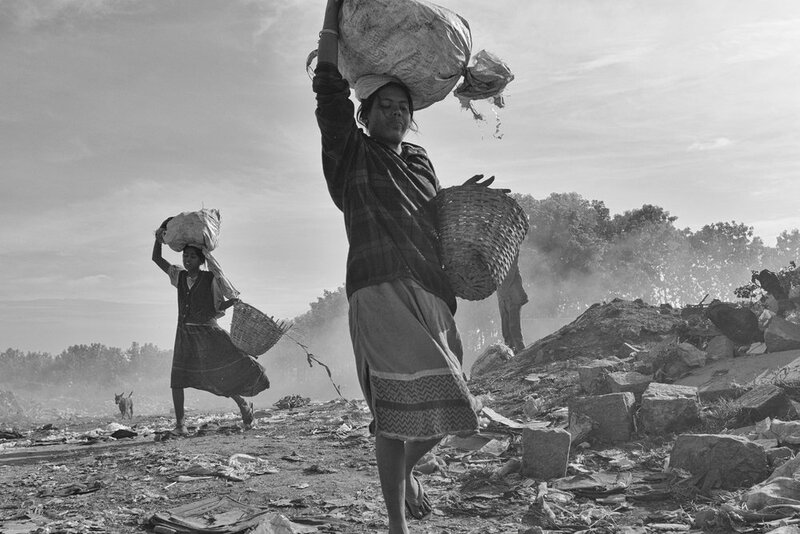 The women of Kyalasanahalli first started scavenging in the landfill because they saw an opportunity. They’d set fire to the garbage to burn away the organic waste and expose scrap metal and other saleable material that survived the fire. I learned that the “pick axes” were actually wooden rods with round magnets at one end, which they’d fashioned so that they could plough through the garbage and pick out metal. They worked for about six hours every day, earning between Rs 150 to Rs 200. Their children, many of whom attended school, lent help whenever they could. The men came here sporadically, when they had a break from their manual labour jobs. 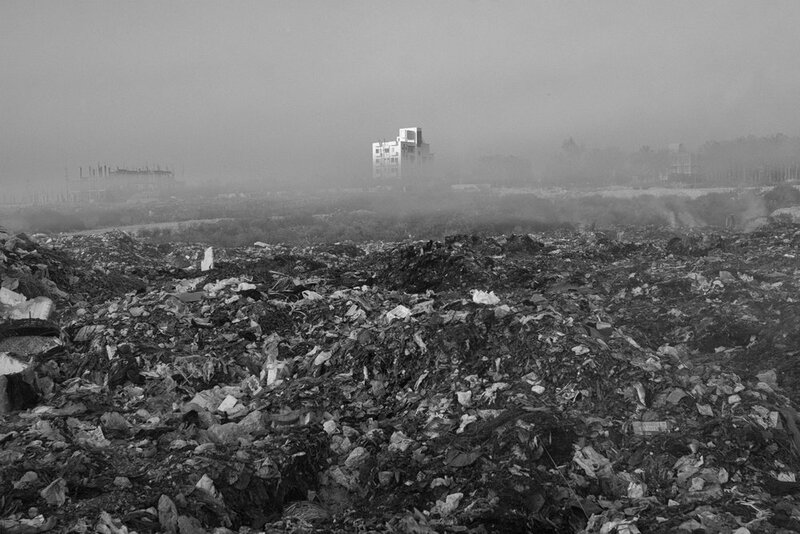 Soon after they started working in the landfill, the community experienced a certain exclusion from the rest of the society that lived around them. They could no longer find employment as housemaids as people considered them to be unclean. Others would stare at them when they entered temples. So on weekends, they started going to a small, nearby chapel for prayers and music. The chapel is more welcoming, they’ve said, and allows them to enjoy spiritual bliss, even if it isn’t their native religion. I worked with this community between 2007 and 2008 for a period of ten months, visiting them at least twice a week. I realised over time that despite the nature of their work and the hazardous conditions –many of them fell prey to lung diseases and fire related accidents – they were cheerful people. I became good friends with Anjanamma, 30, who warmly welcomed my visits, often inviting me to have tea and biscuits with her family, and readily shared her life experiences with me. Anjanamma had married at 12 and her husband had absconded a few years before, so she had moved in with her mother, her sister and her sister’s children. A strong character, Anjanamma told me she didn’t regret not living with her husband and was proud of supporting her family. For Anjanamma and her co-workers at the landfill, work breaks often involved chewing paan, sharing jokes and gossiping about relatives. In June 2011 I visited Anjanamma for the first time in two years. She says things have changed. Rumour has it that the landfill site has been sold to a politician. The dumping ground is now used less, as there are more residents living in Kyalasanahalli, who want the landfill to be moved elsewhere. With less scrap, there is less money to be made and the scrap metal buyers have also dropped off. But Kyalasanahalli’s women neo-farmers are now starting to find other means of making a living as labourers, workers in garment factories and as housemaids in homes on the other side of the expanding city. First appeared in the Ecology Issue of the Motherland Magazine, September 2011.